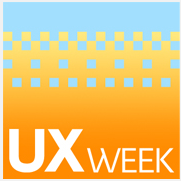 User Experience (UX) Week was held in San Francisco, CA from August 12 – 15. Boxes and Arrows, in co-operation with Adaptive Path, interviewed speakers in UX, IA, IxD, and Human Factors. Many thanks to the entire team at Adaptive Path for the opportunity to share these conversations with the communities of practice. T. Scott Stromberg from 404 User Experience Design and Ty Hatch of Ty Hatch Design captured the UX Week presentations with some quick and brilliant sketches. They were kind enough to share their observations with Boxes and Arrows. Adaptive Path is adding session slides gradually to their website from presenters and workshop leaders. If available, Boxes and Arrows has linked directly to these presentations below. UX Week 2008 kicked off with an on-stage conversation between the President and founder of Adaptive Path, Peter Merholz, and industry legend Don Norman. Don wrote the founding text on user-centered design, entitied, “The Design of Everyday Things“, and also coined the term “user-experience” while at Apple in the early 1990s. They talk about the importance of the semantic differences around common issues in business like ROI from a design perspective, the necessity to look beyond the “all mighty dollar,” the importance of being passionate about your ideas, and knowing ultimately all team members want to create great products and services for other people. Don shares his insights about the UX Week presentation given by Microsoft’s Jensen Harris around the usability of the Ribbon in the latest version of MS Office as well as the exciting future that lies ahead for all in the UX field. In this conversation, Experience Designer Leah Buley from Adaptive Path shares some of the lightweight techniques that she and her team use to explore a variety of solutions quickly and how to enlist the support of non-team members in the UX process. We talk about the video biographies of other team members at Adaptive Path and how all started out from humble beginnings – some in fields that had little to do with what we think about today as traditional UX projects – and how those experiences have helped in building great products and services. Leah outlines the advice she gives in her conference talk Being a UX Team of One. Leah was kind enough to share the videos she used in her presentation. Thanks again, Leah! 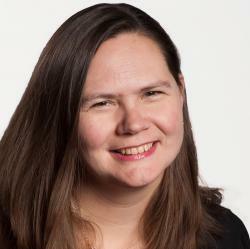 Watch as Pam Daughlin answers the question When did you first discover UX? Watch various members at Adaptive Path share their thoughts on what’s hot in User Experience at the moment. Senior Interaction Deisgner at Adaptive Path, Kim Lenox chats with Kevin Brooks, the Principle Staff Researcher for Motorola Labs about his workshop entitled “Storytelling for User Experience Design“. They discuss various aspects of Kevin’s presentation including the importance of structure and patterns to guide creative endeavors. One critical aspect is listening when striving to be a remarkable storyteller within your own organization. Kim shares her art school experience where the criticism of her art helped her gain the confidence necessary to be a successful Interaction Designer. Kevin also discusses his upcoming publication about storytelling with Whitney Quesenberry. Learn more about his book at Rosenfeld Media. Download Kevin’s presentation from UX Week. Indi Young talks about the importance of continuing to ask “why” enough times to get to the core reasons for any individuals’ behavior or actions and how to convert stories into mental models. Her workshop “Unpacking Stories to Server People Better” includes these themes and more. We discuss the elegant way in which mental models can provide a visual representation of these behaviors and support elements that foster the likely repetition of any action. Indi also talks briefly about how her book from Rosenfeld media, “Mental Models – Aligning Design Strategy with Human Behavior,” can help others create these visual tools. We explore the six key elements about what it takes to design services that keep people coming back for more. We probe into the dynamics of service design from real-world examples of business that provide unique experiences. One shoe company will actually order a pizza for their clients as well as order products from competitor sites to keep their customers satisfied. Jennifer and Ben outline why people get excited about intangible services in the same way they lust after the latest shiny toy that just came out on the market. We talk about Cynergy’s awarding winning application “ben” at the PhizzPop competition – a National Design and Development Challenge sponsored by Microsoft. “ben” is a series of interconnected, cross-platform applications that leverage the power of Microsoft Silverlight, Windows Presentation Foundation, Live Services, Twitter, VoIP technologies. TVs in trouble! It might be terminal, but Rod Naber and Dan Levine from Current TV urge everyone not lose hope just yet. Discussing their presentation “TV with an API! Current at the Collusion of TV and the Internet” Rod and Dan describe how using their cable and satellite TV network along with their social news website, Current is experimenting across both media, looking for a cure. In this conversation we talk about how Current got started, the power of the community in generating content for Current News, and how the Internet is allowing users to create ads for companies. All this could change the way marketing approaches innovative solutions for their customers. Margaret and Graham also had participants of their workshop develop haiku’s about the importance of working with and managing UX Teams. They were kind enough to compile this collection of Haiku’s from the workshop for you. They also provided an example of the leadership cards. These cards can be printed off and shared with members of your team about which characteristics of a leader they deem to be most essential. Not every leader will be strong in all categories, however. Such information can help leaders understand the expectations of those they are working with on a daily basis. Jake Barton gave an emotionally powerful presentation at UX Week entitled “New Paradigms for Interaction in Physical Space“. As the interaction designers for NPR’s StoryCorps and the co-leaad designer for the National September 11th Memorial Museum at the World Trade Center, Local Projects is creating new paradigms for interaction by tackling physical space. Jake talks with me about how the interaction design process bends, accelerates and sometimes completely falls apart, when applied to the global community. You can download Jake’s Presentation from UX Week. On the last day of UX Week I had the pleasure of chatting with Adaptive Path’s new CEO Michael Meyer about his impressions of UX Week and the opportunities that come with this new position. We discuss his past experiences as a nuclear engineer, time spent in the US Navy, as well as working at some of the leading design firms in the world such as frog and IDEO before arriving at Adaptive Path. My heart-felt thanks to Michael and the entire team at Adaptive Path for allowing Boxes and Arrows to share these conversations with the community. Just listening to the Don Norman/Peterme banter form teh keynote interview– dang! Spicy! great work, Jeff! Don really has got it; if you want ot play wiht business, you’ve got to speak the language, understand the values and not expect them to come around to you. Tossing around some jargon like ROI doesn’t fly; you have to know how your company makes money, and more importantly how you move that number…. The other point that Don made during the conference was that “memory” is more important than “reality” when looking at UX. People will tolerate changes to any product or service if their past experience was good. It was a great conference; I hope people find value in all of the conversations. Kudos to Peter Merholz and Kim Lenox for ensuring we could capture discussions with Don Norman and Kevin Brooks from Motorola Labs.